Spring Spring Spring! That heady time of year when nature enthralls us with beauty that’s fresh and divine. We love all things fresh and lively at this time of the year. We’ve taken a look at how you can incorporate the season into re-decorating your home at this time of the year. Typically, spring colors are bold and bright — they pop and stand out amongst the crowd. This year, while we do see some bright colors, we also have a good mix of cool grays, mint greens and yellows. We love that the colors were mixed up this season to create a sense of both calmness and relaxation combined to be bright and happy. The choice is yours. The best spring colors for this year are cobalt blue, lemon yellow, bright pink and mint green. Floral and leafy prints are as usual a hit for the spring season. Also, take some time out for yourself, get down to your spring cleaning and decorate your home with fresh flowers all over for the perfect look. 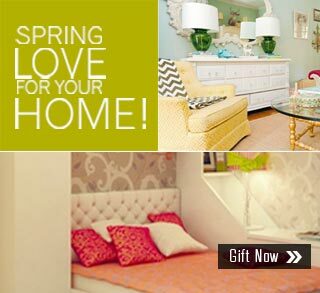 You are sure to love our bright and colorful spring collection and if you really love something , go ahead and book a spring gift and surprise your loved ones. Keep that spring in your step!